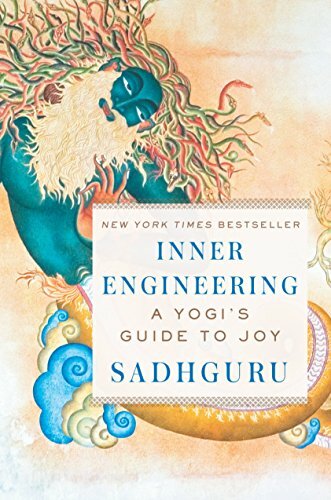 NEW YORK TIMES BESTSELLER • Thought leader, visionary, philanthropist, mystic, and yogi Sadhguru presents Western readers with a time-tested path to achieving absolute well-being: the classical science of yoga. The practice of hatha yoga, as we commonly know it, is but one of eight branches of the body of knowledge that is yoga. In fact, yoga is a sophisticated system of self-empowerment that is capable of harnessing and activating inner energies in such a way that your body and mind function at their optimal capacity. It is a means to create inner situations exactly the way you want them, turning you into the architect of your own joy. A yogi lives life in this expansive state, and in this transformative book Sadhguru tells the story of his own awakening, from a boy with an unusual affinity for the natural world to a young daredevil who crossed the Indian continent on his motorcycle. He relates the moment of his enlightenment on a mountaintop in southern India, where time stood still and he emerged radically changed. Today, as the founder of Isha, an organization devoted to humanitarian causes, he lights the path for millions. The term guru, he notes, means “dispeller of darkness, someone who opens the door for you. . . . As a guru, I have no doctrine to teach, no philosophy to impart, no belief to propagate. And that is because the only solution for all the ills that plague humanity is self-transformation. Self-transformation means that nothing of the old remains. It is a dimensional shift in the way you perceive and experience life.” The wisdom distilled in this accessible, profound, and engaging book offers readers time-tested tools that are fresh, alive, and radiantly new. Inner Engineering presents a revolutionary way of thinking about our agency and our humanity and the opportunity to achieve nothing less than a life of joy.